What Is a Tick Bite Rash? Ticks can transmit a number of serious diseases. 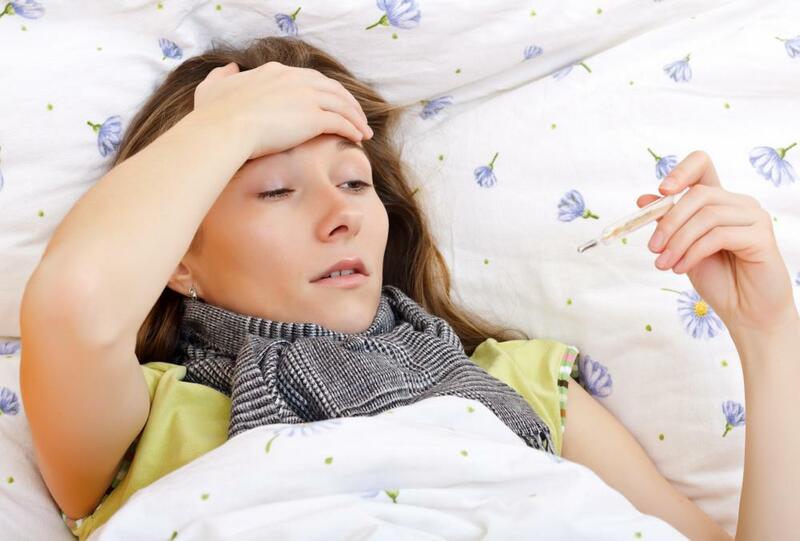 In addition to a rash, Rocky Mountain spotted fever often causes flu-like symptoms. A tick bite rash can appear on a person's skin after he has been bitten by a tick. Several types of ticks carry bacteria that can cause disease in humans. 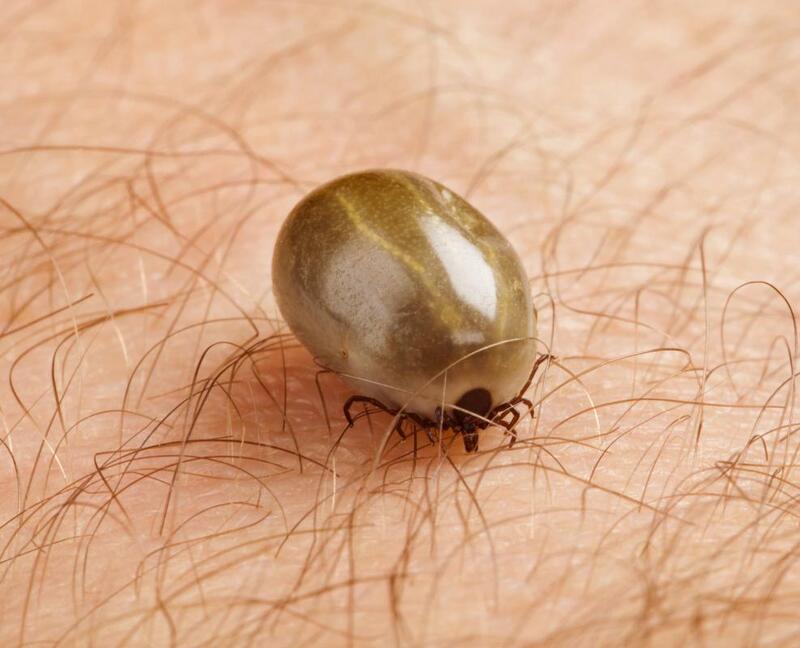 In many cases, a tick bite rash is the first sign of the disease, though in a few cases, a person may get sick without getting a rash. Diseases that may have a rash include Lyme disease, ehrlichiosis, and southern tick-associated rash illness (STARI). The rash that usually appears when a person has been bit by a deer tick is typically round and red. In some people, the rash may look more like a bruise. It commonly looks like a bulls-eye or target, as the middle of the rash fades, leaving a dot surrounded by a ring. The rash usually appears within 30 days of the bite. Not all people with Lyme disease develop a rash at the bite sight, though. People who have been bitten by the lone star tick can develop a tick bite rash that is similar in appearance to the Lyme disease rash. This rash is known as STARI and is often accompanied by flu-like symptoms. STARI doesn't seem to be as severe as Lyme disease, as it doesn't cause neurological symptoms. The cause of the condition is unknown, though patients seem to recover with antibiotics. 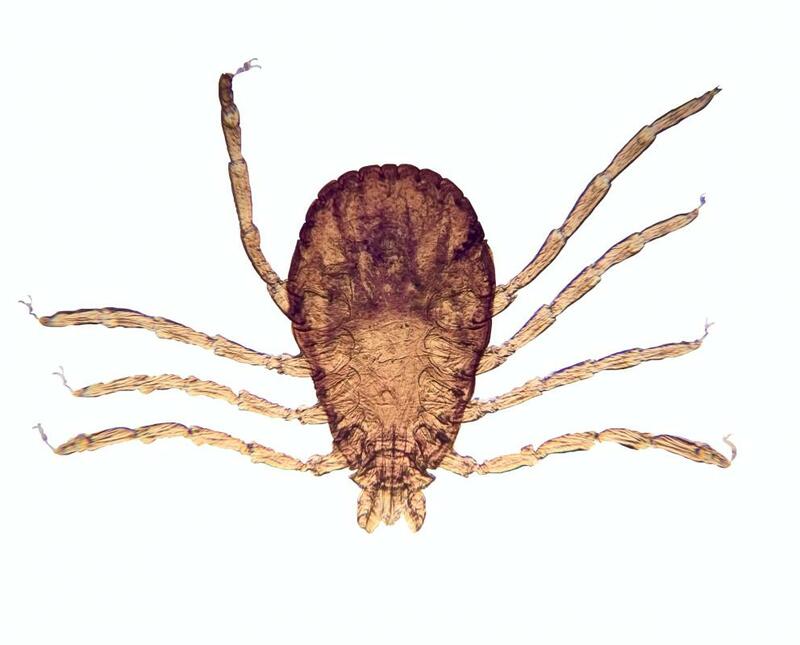 The lone star tick can spread another disease, ehrlichiosis, which is caused by Ehrlichia chaffeensis bacteria. Some people with ehrlichiosis develop a red, flat rash on their skin. People may also experience a petechial rash or areas of bleeding beneath the skin. The petechial rash commonly looks like a collection of small red dots. A tick bite rash appears only in about half the cases of ehrlichiosis. Rocky Mountain spotted fever is another disease spread by deer ticks and dog ticks that can result in a rash and flu-like symptoms. The symptoms of Rocky Mountain spotted fever are often similar to ehrlichiosis, and the two diseases can be mistaken for each other. Rashes caused by the disease typically appear after a patient has displayed other symptoms of the disease. The rash is usually a collection of small red or pink spots on the skin. Usually, the rash appears on the wrists, palms, and the soles of the feet first and then works it way up a person's limbs. As the rash ages, it can begin to look like a bruise. The disease is treatable with antibiotics. What Are the Most Common Causes of a Petechial Rash? What Is a Target Lesion? What Are the Symptoms of Tick Bite Fever? What Causes a Bullseye Tick Bite? I have a lone star tick rash. I didn't know that only half of people who get bit by the lone star tick develop a rash. I guess I'm special. I was bit four days ago at an outing. I found the tick a few hours after I got home and the rash was small at that time. In two days, the rash grew to twice its size. Thankfully, I had saved the tick just in case, so I went to the hospital with it. I didn't know what type it was, but they recognized that it's a lone star tick at the hospital and put me on antibiotics. @burcinc-- I think you should show your rash to a doctor. I'm not sure, but I think a Lyme disease rash starts off like that. It's a red dot at first and then grows and the center fades, forming a bulls-eye shape. Lyme disease is treated very easily in the early stages. By the time it gets to the bulls-eye stage, it requires lots of antibiotics. It's better to be safe than sorry. Before you develop a tick bite disease, see a doctor. I have a red rash from a tick bite. I can't tell what type of rash it is, it's just one, red and round spot. I'm going to wait for a few days and see if it changes. It doesn't look too bad right now.